In recent years the need for lockers has increased, due to both schools and colleges expanding. 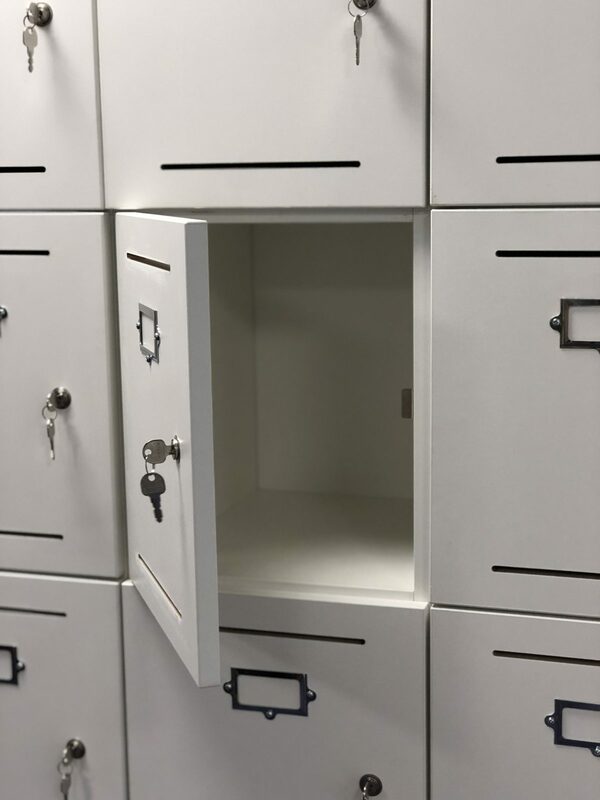 Lockers are perfect for creating lockable storage in student areas. 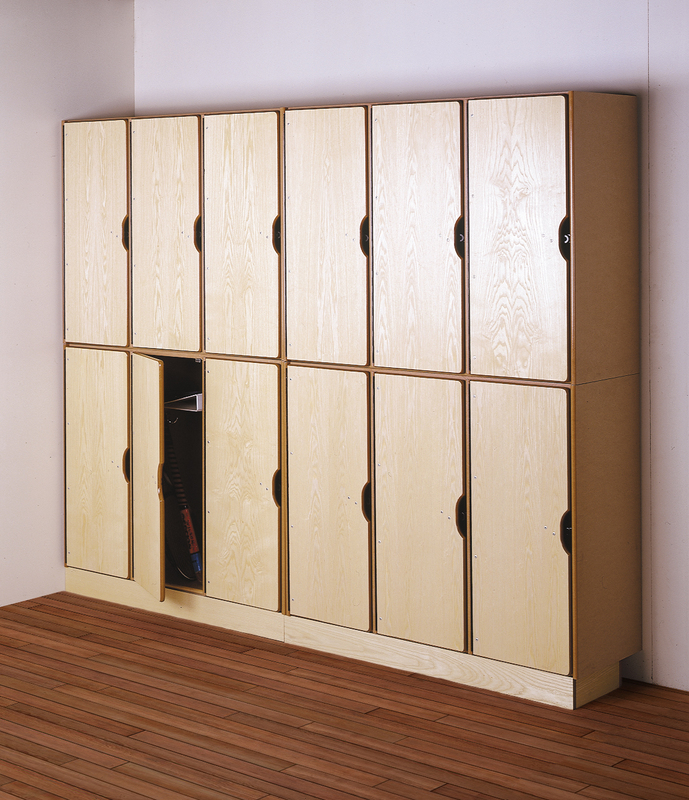 Lockers are mainly used in areas such as corridors, classrooms, locker rooms and gym changing rooms. Here at ETB Furniture we have a wide range of configurations available to enhance the space available so that lockers can be used in a variety of areas around schools or colleges. In large corridor areas and hallways, lockers are ideally placed for students who require quick and easy access to their items on the way to class etc. 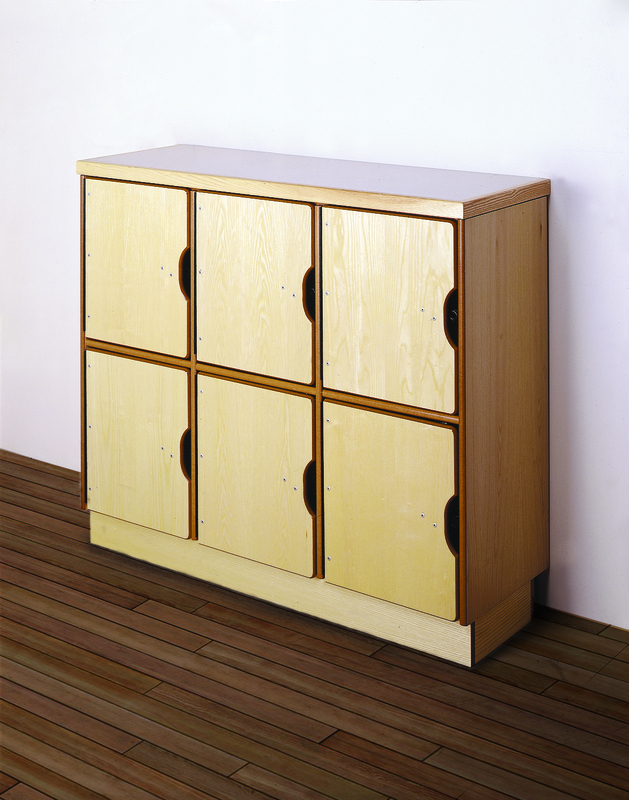 Our most popular lockers for corridor areas are our 450, 500 and 900 range lockers. Manufactured using MDF with an ash veneer door. Each locker has an internal shelf, with a coat hook below. All lockers are available with a padlock fitting as standard. Other locks, hardwoods and finish are available. A range of paints and lacquers are available on request, we are able to colour match to any RAL number meaning that lockers can be made fully bespoke. Fire retardant lacquer is available for lockers, as we understand that this is sometimes a requirement for lockers that are to be placed in exits routes. Please contact our team for more information regarding fire retardant products. We are able to make lockers fully bespoke to the environment that they are being installed in. For example, divider shelves can be added to allow boots and shoes to sit separately from sports bags. The sport locker carcass is manufactured from white melamine-faced board, which is durable and easy to maintain, the laminate is water resistant meaning that is will be durable against wet sports bags and can also be wiped down easily should they get dirty. The door can be finished in a laminate or wood veneer of choice. Optional items such as number plaques, keys or padlock fittings can be added. As part of our Education Storage Range, the Music Locker has been specifically designed to accommodate a wide variety of instruments from guitars and trombones through to cellos. The lockers feature a spacious storage compartment and a shelving space above for books and smaller items, this locker is ideal for safely storing high-value musical equipment. With an interior depth of 522mm, width of 364mm and a height of 1446mm to the underside of the shelf, the Music Locker can store a 4/4 cello within most standard hard cases. 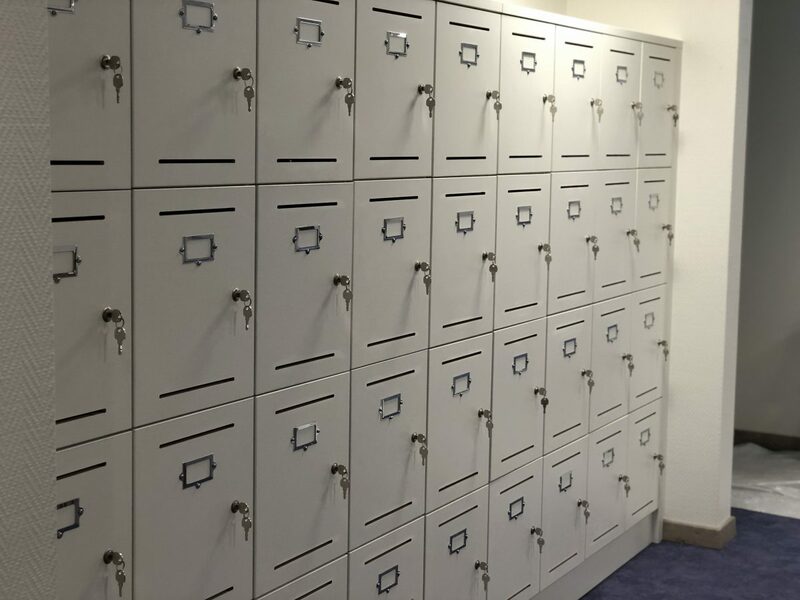 However, we are able to manufacture lockers to any specific requirements to suit the needs of the room and environments that they will be placed in. The locker carcass is manufactured from white melamine-faced board, which is easy to clean and hard wearing. The doors are finished in a veneer or laminate of choice. Options such as key locks, number or name plaques are available. Ideal for use in canteens or food technology classrooms, the Food Lockers have been designed to accommodate snacks and cooking supplies for students. Featuring two air vents per door allowing fresh air to circulate through, these lockers are great for keeping food fresh. The locker carcass is constructed from white melamine-faced board, which is easy to keep clean, and is durable. The doors can be finished in a wood veneer or a coloured laminate. Optional items such as number plaques, name plaques and different lock types are available. 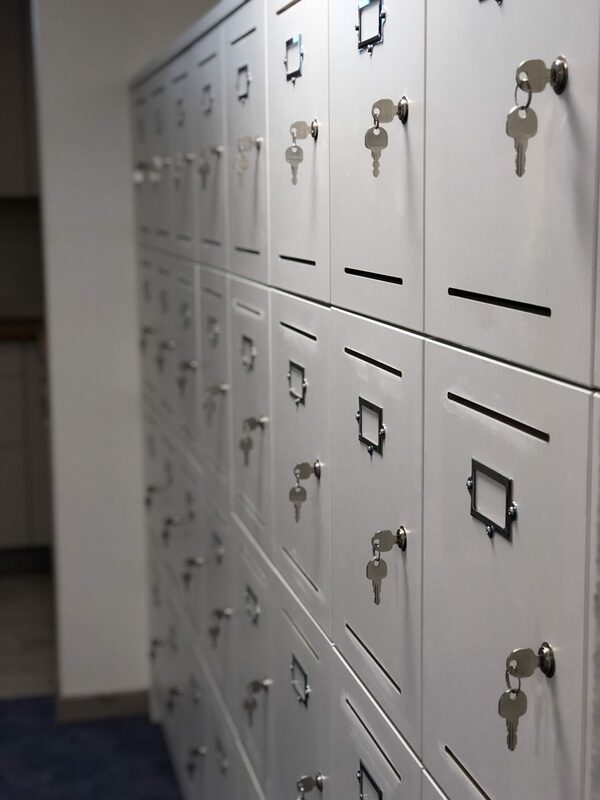 If you would like like to discuss lockers with our team, please contact us for more information. We are able to manufacture and design lockers in range of configurations and styles to suit any environment.